in 1934, the Grand Lodge of Ohio, Order Sons of Italy (SOI) in America, purchased the Richard N. Allen House and made it their fraternal headquarters, adding an auditorium onto the rear of the house. The house functioned as the organization's Ohio Grand Lodge until 1946. 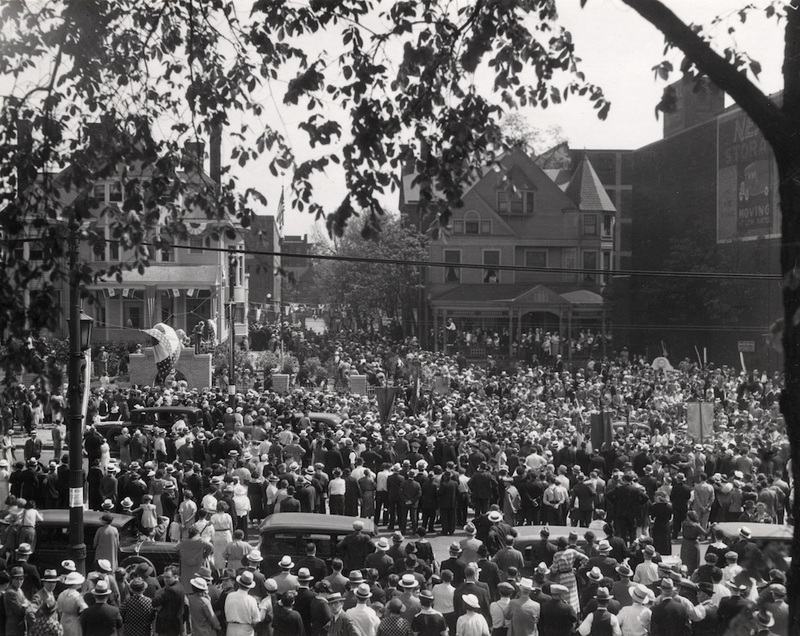 The photo above shows the crowd estimated at 15,000 that gathered in front of the house on Euclid Avenue at the dedication ceremony held on June 2, 1935. In the photo, the new Grand Lodge is the house on the left, partially obscured by trees.